But what are the primary causes of these deadly tractor trailer accidents? Well, we already know that the size of the vehicle creates a hazardous situation on roads and interstates. 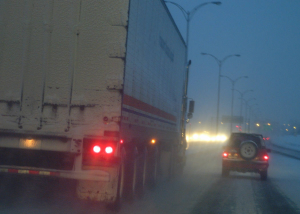 But, the most common cause of accidents involving tractor trailer trucks is driver error. It has been estimated that tractor trailer truck drivers are ten times more likely to cause an accident, according to the Federal Motor Carrier Safety Administration (FMCSA). Some of the factors found to contribute to this escalation in accidents includes, but is not limited to, speeding, driver distractions, sleep deprivation, improper backing, driver fatigue, and the use of prescription and over-the-counter drugs. There are, of course, occasionally other factors such as illegal drug use and/or alcohol consumption, but these incidents do not contribute to the vast majority of tractor trailer collisions. Beyond the driver-related causes, next would be equipment malfunction. Equipment malfunction may include, but is not limited to, faulty brakes, defective design, manufacturing defects, defective tires, improper cargo loading and distribution, defects in the vehicle steering, improper or defective lighting, transmission problems, etc. Unlike your typical passenger vehicle accident, investigations involving tractor trailer collisions must include inspections at the scene of the collision, inspections of the vehicle(s), inspections of the driver’s driving records, and identification of all potential defendants (i.e., the driver, the trucking company, the tractor trailer owner, the trailer owner, the freight broker, all witnesses, the driver’s logs, freight shipper, maintenance logs, maintenance establishment, vehicle manufacturer, etc.). And it is imperative that the tractor trailer vehicle be inspected immediately and that all evidence be preserved. In pursuing tractor trailer collisions involving serious injury or death, some of the causes of action may include various theories of negligence, for example negligent maintenance, negligent entrustment, wantonness, negligent hiring, as well as, other theories of recovery. As to the issue of insurance, $750,000 of liability insurance is required if the truck weighs more than 10,001 pounds and carries non-hazardous property while traveling interstate. Five million ($5,000,000) dollars of liability insurance is required if the truck weighs less than 10,000 pounds and travels interstate while transporting hazardous materials. One million ($1,000,000) dollars of liability insurance is required if the carrier transports other hazardous materials such as oil or other items listed in the hazardous materials table. Due to the likelihood of evidence and witnesses disappearing, I can’t emphasize it enough that legal counsel must be sought immediately in any collision involving a tractor trailer vehicle. 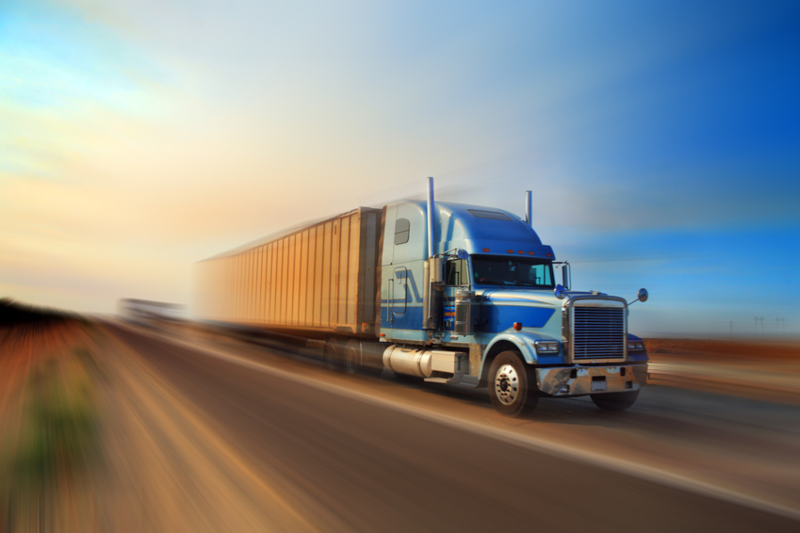 And even in accidents in which the tractor trailer driver is seriously injured or the accident results in the driver’s death, there may be a cause of action as a result of a manufacturing or design defect. There have been accidents in which the cargo shifted resulting in the death of the driver. There have been accidents in which the cab of the vehicle provided ineffective protection for the driver in load-shifting or roll-over accidents. In the event of an accident involving a tractor trailer truck, call Trial Lawyers USA, LLC, (678) 882-7355, info@triallawyersusa.us, for an immediate free consultation. Operators are available 24 hours a day.